Product prices and availability are accurate as of 2019-04-20 08:31:09 EDT and are subject to change. Any price and availability information displayed on http://www.amazon.com/ at the time of purchase will apply to the purchase of this product. Scrubbing away dead skin cells and dirt can put you on the fast track to having clean, smooth, and healthy-looking skin. 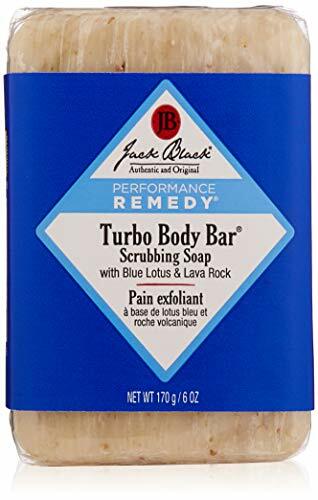 For years, consumers have trusted Jack Black personal care products to maintain body health and wellness. 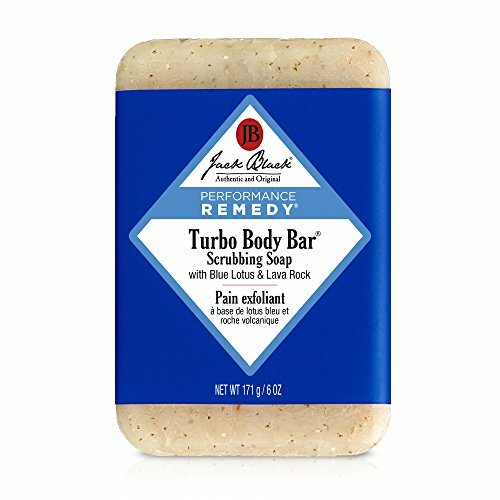 Those who need an effective exfoliating and deep-cleansing soap can depend on Jack Black Turbo Body Bar Scrubbing Soap. 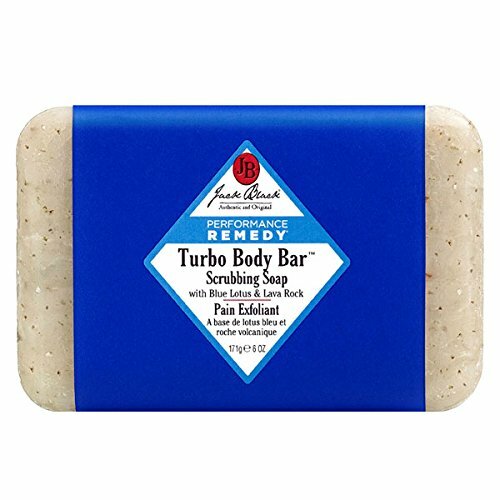 This energizing, deep-cleansing bar scrubs away dirt and exfoliates the body. The fresh aroma from our popular Turbo Wash Energizing Cleanser is infused with natural Blue Lotus and Ginkgo Biloba to help combat fatigue and stimulate the senses. 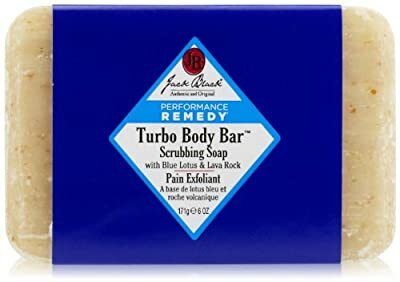 Jack Black Turbo Body Bar Scrubbing Soap contains certified organic ingredients that work together to exfoliate the skin, produce a rich lather, and leave you with a refreshing scent. Lava Rock is the primary ingredient, which exfoliates by removing dead skin cells to reveal the soft, healthy skin beneath. Blue Lotus is added to provide essential moisture, improving the look and feel of dry skin. Gingko Biloba Leaf Extract is a potent antioxidant that helps soothe and condition skin. Shea Butter contains essential fatty acids that moisturize and hydrate dry skin and hair. Finally, Murumuru Seed Butter, which is derived from the fruit of a Brazilian palm tree, works to keep moisture in the skin and soften its texture. All Jack Black products are carefully formulated with the finest ingredients to be highly effective, yet easy to use. Every Jack Black product is dermatologist tested, paraben free, cruelty free, and free of harsh surfactants. Almost all of the products in our line are vegan, free of artificial colorants, safe for sensitive skin, and made in the USA. For best results, use Jack Black Turbo Body Bar Scrubbing Soap morning and night to cleanse skin. Run bar under water, working into a thick, rich lather. Gently rub in a circular motion over the entire body.